Kia e-Niro Running Costs, MPG, Economy, Reliability, Safety | What Car? 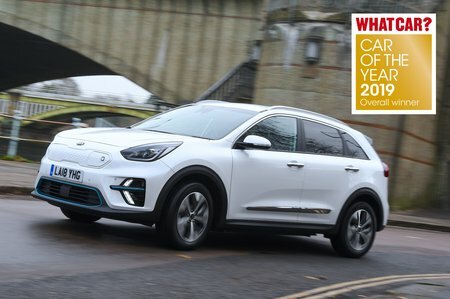 The e-Niro is priced slightly above the likes of the Nissan Leaf and Volkswagen e-Golf but way below premium EVs like the Jaguar I-Pace and Tesla Model S. It costs roughly the same to buy as the 64kWh version of the Hyundai Kona Electric, with which it shares an electric motor and battery. Like all electric cars, the e-Niro is eligible for a £3500 grant from the Government. You probably won’t get anything more off the price by haggling, though; demand is already outstripping supply and you might even have to join a waiting list. Although the e-Niro will cost you quite a bit more to buy than a conventional petrol SUV, there are savings to be made elsewhere. You’ll spend a lot less on electricity per mile than you would on petrol, for example, and you won’t pay a penny in road tax. If you venture into London’s Congestion Charge zone, you’ll also escape the usual fee, while there are various parking perks in cities across the UK. You can charge using a Type 2 cable (included as standard) from a regular 7kW home charging point; this takes around 9hr 50min from 0-100%. For emergencies, you can also use a domestic three-pin charging lead (also included), but this method takes around three times as long. If you want to rapid charge the e-Niro, you’ll need to find a CCS charging point (there are well over 1000 of these dotted around the UK). A 0-80% rapid charge from one of these takes around 75 minutes. The e-Niro is only available in one trim level in the UK, so there isn’t much to scratch your head about here. You certainly get lots of kit as standard. Along with the 17in alloy wheels, all-round electric windows and climate control that you might expect with a modern car, there's also automatic lights and wipers, keyless entry and start, adaptive cruise control, a sunroof, leather seats (heated in the front) and a heated steering wheel. There aren’t many optional extras available, although it is worth stumping up for metallic paint. Kia as a brand came fourth in the latest What Car? Reliability Survey, behind only Suzuki, Lexus and Toyota. The e-Niro itself didn’t feature (it was too new), but Kia does have prior experience of electric cars with the Kia Soul EV. As with all Kias, you get a seven-year warranty as standard (limited to 100,000 miles). Although the regular Niro has been appraised for safety by Euro NCAP, this electric version hasn’t yet been put through the tests. You do get a reasonable number of active safety aids to help you avoid an accident in the first place, though, including automatic emergency braking and lane-keeping assistance. However, there’s no option to add blindspot monitoring or rear cross-traffic alert (the latter warns you about approaching cars when you’re backing out onto a road). As for security, you get an alarm, deadlocks and locking wheel nuts as standard. 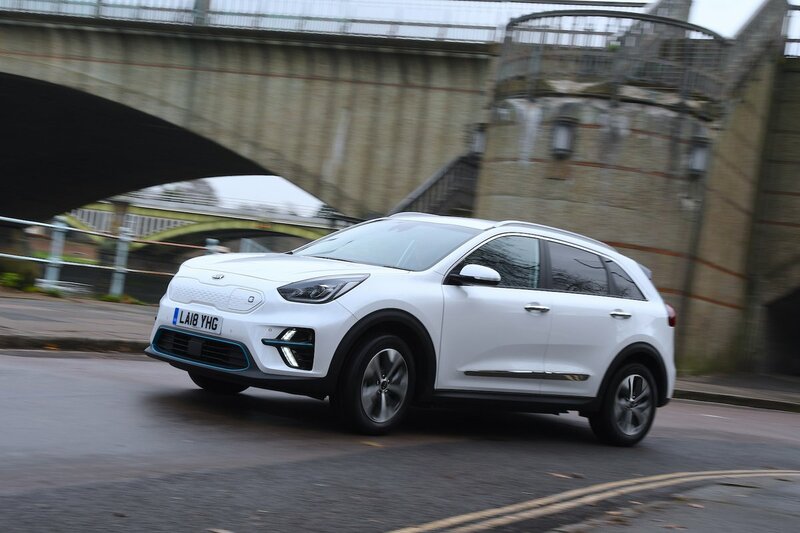 The Kia e-Niro pulls off a trick that many electric cars have thus far failed to do, and that’s to be a fantastic electric car – one with a long range – as well as a good car in other respects. After all, it would be rather a double-edged sword if every mile of the e-Niro's hugely impressive 253-mile real-world range was a living hell. But as well as offering better performance than its immediate rivals, the e-Niro is more spacious for passengers than the Volkswagen e-Golf, as well as more comfortable and bigger-booted than the Hyundai Kona Electric. 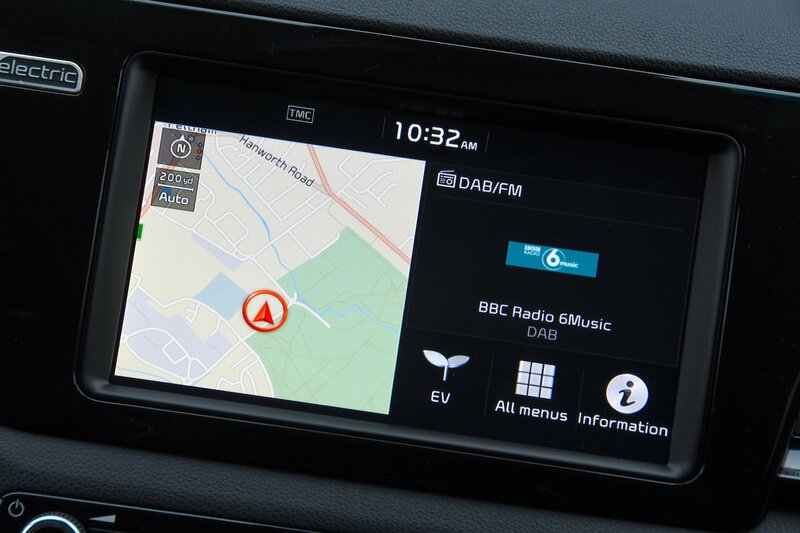 Throw in its decent infotainment system and oodles of equipment and it is a very fine car, full stop.